Don’t forget to book an appointment calling the Reception. Join our team and improve your physical conditioning! 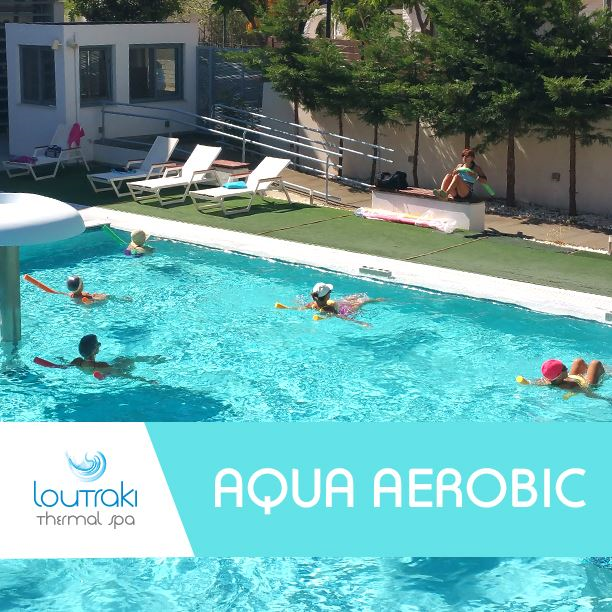 Enjoy Aqua Aerobics group classes in Loutraki Thermal Spa’s pool under the expert guidance of our specialized fitness instructor and utilize the 9 top advantages that stem from in-water physical exercise. Offer yourself the best exercise that combines fitness and water fun simultaneously. The best gift for you and your friends!